We closed the loop on Saturday night, rolling up the driveway just in time for kick-off. Final stats: 4,629.2 miles from Ali’s door in Portland, Oregon to ours in Baltimore, Maryland. Ali bids us farewell, squeegee in hand and sets the weather theme for the trip. Top speed: 88.9 mph somewhere in West Texas. I’d say that we left our dust in West Texas, but West Texas has so much dust you couldn’t tell our dust from their dust. Average speed: 57.9 mph. Gas mileage about 20 mpg at that speed, 16 mpg in West Texas. Total driving time: 79:57 hours. Let’s call it 80 hours, shall we? Over 12 days of driving. Number of days on vacation: 18. 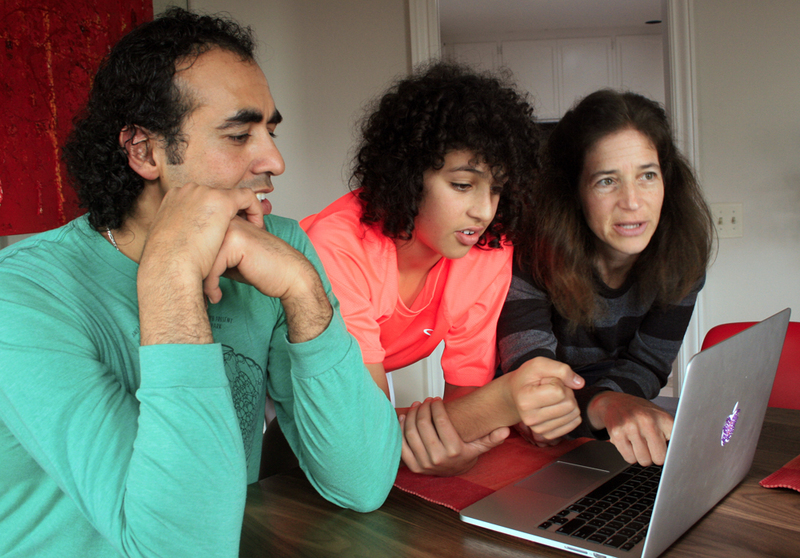 It took us 30 years to string together that many vacation days, but we did it. Down one coast, across the country, and up the other coast. 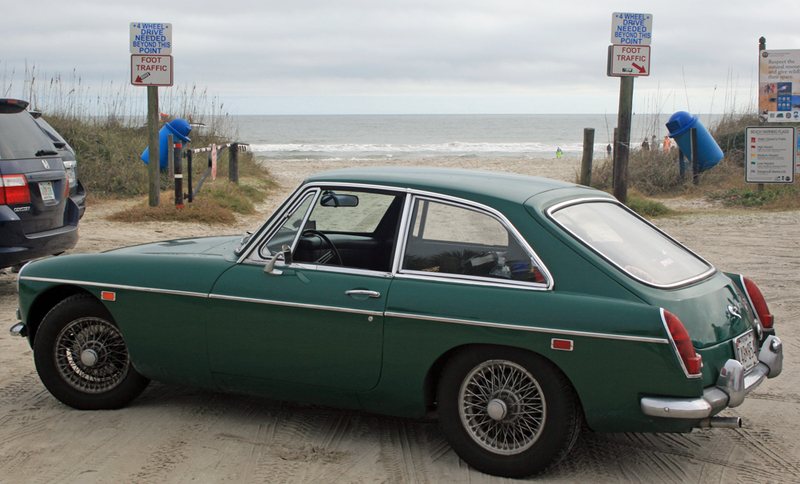 MGB GT at the Atlantic Ocean in Amelia Island, Florida. Worst roads: Route 66 and Baltimore City. Equally bad, the only difference is that Route 66 has an alternative in Route 40. We had to apologize to our girl as we drove her into her new hometown. Most hellacious stretch: the I-10 in East Texas with I-95 in Virginia a close second. Most fun stretch: Route 1 in California. 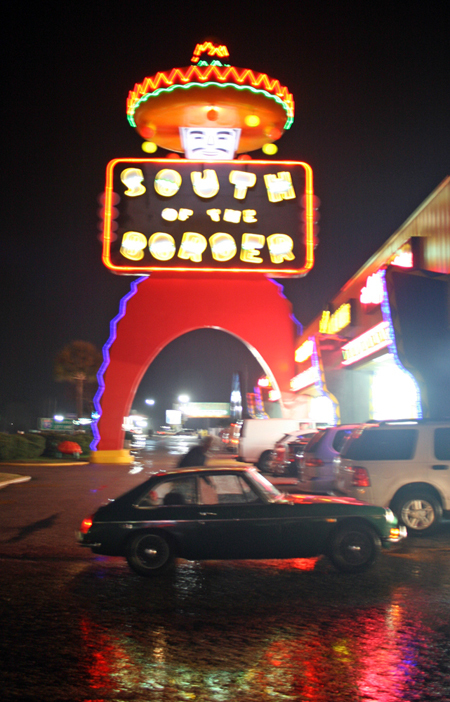 Pedro’s South of the Border, South Carolina. We stayed in a hotel out on the highway on our last night and ate at a chain restaurant, breaking all our vacation rules. But, to be fair, Ruby Tuesday has a salad bar. It also offered a Rodney Strong cabernet. In a complete coincidence, Rodney Strong was the vineyard in Sonoma where we picked up our vineyard point for the Moss Motoring Challenge. We did not have a chance to stop and taste there, but we did in Fayetteville. Very nice. 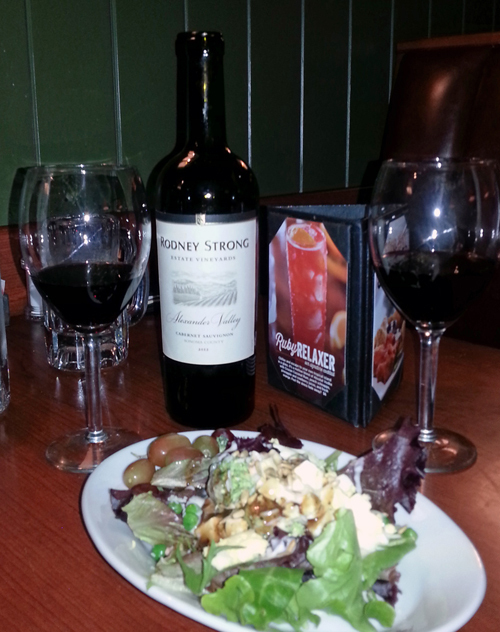 Rodney Strong cabernet in Fayetteville NC. Most memorable moments: the time spent with friends and family across the country — Oregon, California, Texas, New Orleans, and Florida. Help locating potential Moss Motoring Challenge locations in San Francisco. Total Moss Motoring Challenge points for 2014: 30. It was a great ride. I’m glad you were able to come along. SO glad that we could share this with you, and happy that my home state has “the best roads, the most fun stretch and the most memorable moments”!!! 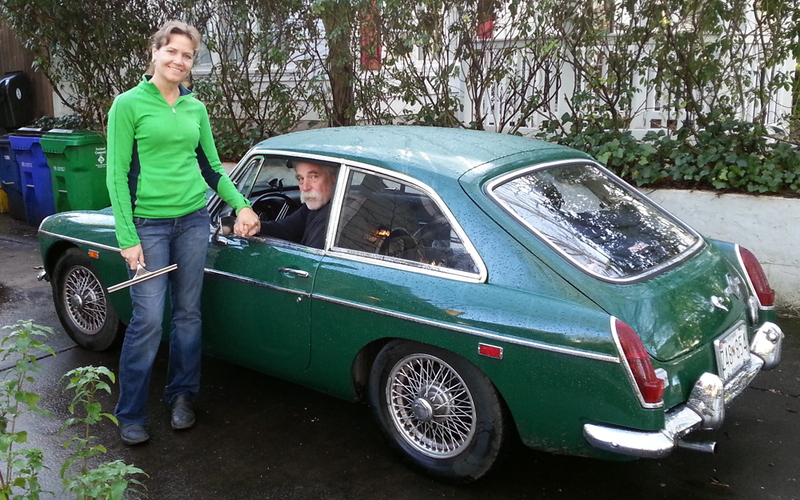 Love being part of your fun adventure…I could never sit in a car for an average of 6+ hours a day for 12 days….even in such a fun car!! Glad you are home safe. California is a pretty big state, so it’s not surprising that it has lots of bests. It also had the ONLY toll in 4600 miles. Can’t wait to see what the bill is going to be from the Golden Gate Bridge. Alls well that ends well. I enjoyed traveling with you and know that this will be memory for life. Enjoy the green machine and you owe me a ride. 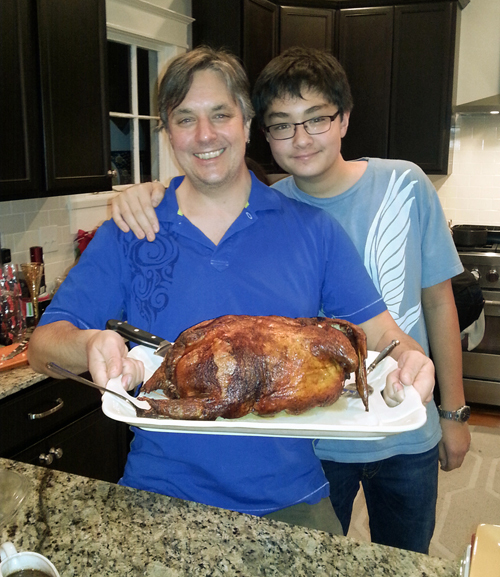 Thanks for all your comments and encouragement along the way.